"El Niño de la Caseta" at the Plaza of tientas of Marqués de Ruchena (Sevilla). "Los Suecos prefieren a Morante"
MUNDOTORO 03/10/2015 13:37: "Andrés Vázquez Socio de Honor de la Peña Los Suecos"
Don Andrés Vázquez will be named Honorary Member of the Peña Taurina los Suecos. In Madrid on 3 October 2015, the Peña Taurina Los Suecos celebrate the fortieth anniversary of its founding. On February 24, 2014 died our great friend Lars O Swärd, one of the founders of our peña and our president for decades. R.I.P. PRESENTES: Lore Monnig (EEUU), Guiri del Año 2005. Lars Ingvar Jungefors (Suecia), Guiri del Año 2006. Manfred Walloschke (Alemania), Guiri del Año 2007. Massaoud Sbai (Marruecos), Guiri del Año 2008. 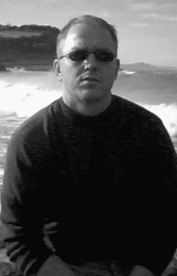 Frank Taylor (Reino Unido), Guiri del Año 2009. Chiyoshi Sugawara (Japon), Guiri del Año 2010. John Patrick Hemingway (EEUU), Guiri del Año 2011. 2010 - The 35th Anniversary of our peña - New issue of "El Cartelitito"
Visit organized by our Vice President Göran Svärd 'Espada' - Special guest Lore Monnig, President of the Club Taurino of New York City. Our club was founded in Madrid, in May 1975, by four Swedish aficionados who had run, coincidentally, into each other during that year´s Feria de San Isidro. They where encouraged by - among others - the well known president of the Peña El 7 Don Tomás Martín "Thomas"(Q. E. P. D.) from Madrid. Today our club has become the oldest taurine club of all times in Sweden, and the most numerous, with 90 members. The major part of the members reside in Sweden but we´ve also got members living in Spain, Denmark and the USA. 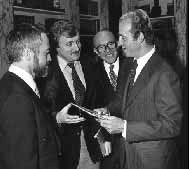 The Spanish Embassy in Stockholm, Sweden, October 18th, 1979 His Majesty Don Juan Carlos I, King of Spain, grants the Peña Taurina Los Suecos audience in the presence of the Spanish Ambassador. The Peña Los Suecos appoint the King, Member of Honor. To see the photo - click here. 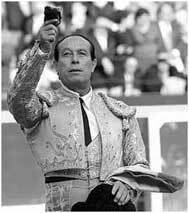 CURRO ROMERO - Honorory member. The traditional lunch with Curro Romero - click here. -Don Eduardo Miura, (Q. E. P. D.) breeder of Toros Bravos - "miuras"
The solemn distribution of the club Los Suecos´s prizes "La Feria 99" took place in the comfortable lounges of the sevillan hotel Bequer, on Saturday 24 of April. Don Antonio Burgos did received his prize personally, the trophy dedicated to the taurine magazine APLAUSOS was received by its representative, the journalist Juan Belmonte, in the presence of the photografer ARJONA. The plaquete dedicated to the magazine 6TOROS6 was received by José Carlos Arévalo. The ceremony was supervised by the President of the club, with the usual feeling for exactitude. The secretay "Gallito" and the acting Vicepresident "Er Niño de la Caseta" did ad joy and laughter -without moderation - to the event. More about these awards - click here. Los Suecos and the spanish press - click here. A tribute to the fantastic Torero José Manuel Calvo Bonichón "Manolo Montoliú. Manolo Montoliú - click here. will get to know new taurine comrades with an endless amount of "alegría" and "afición"
Our (previous) PR-man is Ricardo Delgado, if you´d like to get some information concerning the PR of the Taurine Club "Los Suecos", or if you´d like to have a copy of any of Ricardos photos, don´t be in doubt, just contact Ricardo. For the moment Ricardo hasn't got e-mail nor phone. MORE IN ENGLISH BY ÁNDREA AND RICARDO - click here. Domicilio: "El Toro Bravo", Drottninggatan 29, 411 14 Göteborg, Suecia. La actividad y la popularidad de la peña taurina "Los Suecos" es muy grande, por eso, a cualquier ciudad que se viaje durante su feria (tanto en España, como Francia, Portugal o Hispanoamérica), es muy fácil encontrarse con alguno de sus componentes, portando el ya famoso logotipo del toro en el círculo amarillo sobre fondo azul. Recientemente han celebrado en su sede, en el restaurante "El Toro Bravo", la Asamblea General de Otoño, además de su 25 aniversario, donde se recordó la creación de la peña, en 1975, en Madrid, por cuatro amigos. Uno de sus proyectos es universalizar el mundo del toro, y darse a conocer, mediante una muy lograda página web, obra de Bosse Raunavaara (www.geocities.com/lossuecos/). Poseen varios socios de Honor, entre los que destaca S.M. el Rey D. Juan Carlos, y otorgan premios, tanto a ganaderos como a matadores de toros, como Eduardo Miura, Enrique Ponce o El Juli. "El Cartelito" es el nombre de la revista que editan, cuatro veces al año.